Charisma and Bureaucracy. Thoughts on the Sir George Williams University Department of Sociology & Anthropology. 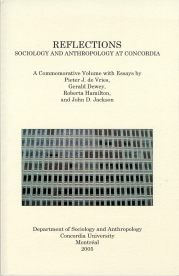 Anthropology at Concordia : Almost 40 years of Co-habitation.